Missed deadlines, reworks and lost profit are the cost of not being transparent about what is happening in your business – the cost of settling for the beautiful lie. And these lies have a cost that we can measure in time, money and materials. Would you prefer to hear a beautiful lie or an ugly truth? 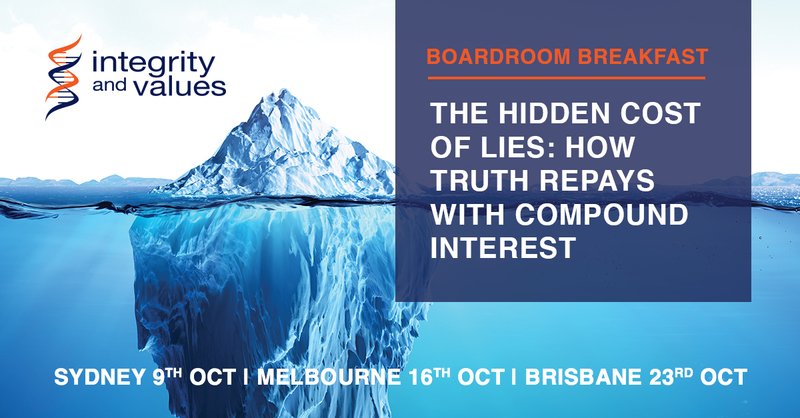 Here, CEO and Founder of Integrity and Values, Jennifer Elliott, gives you her take on the importance of truthfulness in business and how it can improve your profitability and performance. Jennifer’s words resonate don’t they. We have all, at some time in our careers, sat in a meeting and accepted a lie because it was easier than facing the truth. Some of us do it frequently. Like to hear more? Book your place at our next Boardroom Breakfast.